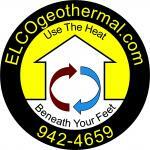 ELCO Electric Inc. is a commercial electrical contractor also specializing in geothermal heating. ELCO has been in business since 1981 and has developed a reputation for the highest quality of design, equipment, and workmanship possible. We care about getting it right the first time. “Whatever it takes” is our motto because we will strive to exceed your expectations. We will personally take on the burden of solving your problems. ELCO is committed to providing the best solutions to meet any budget, but will not allow price to sacrifice quality. Geothermal, or ground source, heat pump systems are a surprisingly simple technology. However, geothermal heating systems do require close coordination among several knowledgeable and experienced team members. A typical geothermal system installation might involve the following team members: architects, engineers, designers, well drillers, excavators, ground loop installers, plumbers, HVAC technicians, sheet metal fabricators, and certified geo installers. When you hire ELCO to do your geothermal project, ELCO coordinates all of these disciplines for you, such that your installation is planned, installed, and functions properly. ELCO can act as your single contact point with sole responsibility for a properly designed, installed, and maintained geothermal system. With three decades of contracting experience to our credit, ELCO has developed the local relationships and resources necessary to complete such a diverse project. As International Ground Source Heat Pump Association (IGSHPA) accredited geothermal system installers, ELCO has the necessary training and expertise critical to deliver a successful and highly efficient geothermal heating system. Our approach is to draw valuable skills from those disciplines that each know their business the best from many years of experience, integrate them into our overall geothermal design that best suits your project, and then proceed with an experienced team that can deliver the best installation results, the first time, with as few unexpected surprises as possible.. For this reason, we work closely with several local area subcontractors who are best positioned to add value to your geothermal project. A geothermal system will provide many years of reliable service, will deliver the lowest operating cost of any heating system type, will require very little maintenance, and will serve you very well if done as we have outlined here. Search again or contact us!